“La Zenaida” is named after the scientific name of the dove – “Zenaida Auriculata”. Located 50 meters of one of the largest and most compact dove roosts in Argentina and right on a dove flyway, it is just the perfect place for a thrilling high volume shooting experience with an experienced team that runs a flawless operation. Decorated in the traditional Patagonian and Northern Argentinean style, La Zenaida offers all modern amenities: cosy ensuite bedrooms, a comfortable living-room with a fully stocked complimentary bar, a large dining room, a large outdoor hot tub and a great recreation area with a wonderful view of the green fields, and occasionally pumas (mount lions) walking around. 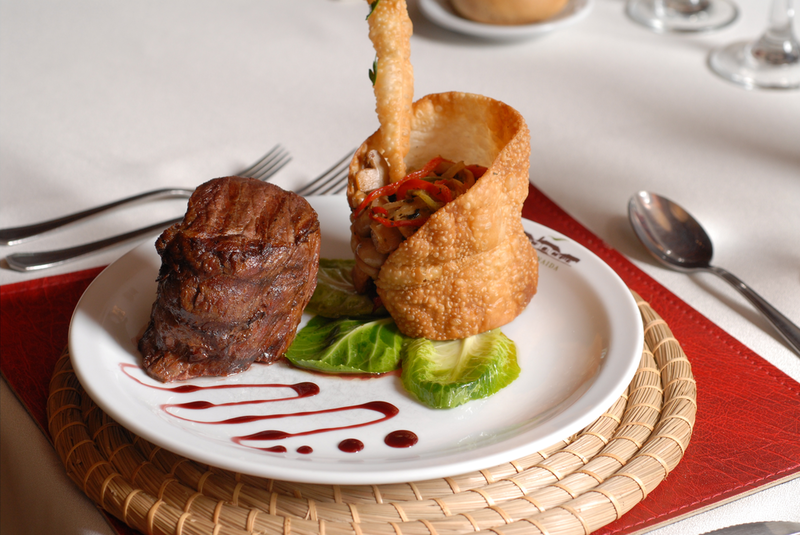 With the best Argentine beef and quality ingredients, the chef creates an array of delicious traditional specialties and international dishes. Carefully selected Argentine wines complement his mouth-watering menus. From the moment you arrive to Argentina, service is personalized and attention is paid to every imaginable detail. This standard is maintained throughout the house staff and guide team making this dove shooting program hard to beat. Wake up call is generally around 7:30 am and the shooting begins after a hearty breakfast. You will shoot until noon when you will be treated to an incredible lunch at the lodge, tasting some of Argentina’s wonderful beef and superb wines. Afternoon shoot begins at around 2:30 and continues until almost dark. Cordoba is considered the dove shooting capital of the world. The 100 square mile radius (60 km) around the lodge is annually inhabited by over 30 million doves. The lodge has around 25 shooting ﬁelds, which are within a walking distance or a short drive through the region’s rich farmland. In the ﬁeld you will be assigned a bird-boy, who will provide you with shot shells and refreshments, direct you to your shooting stand and load your gun. They have radio communication and can solve problems rapidly. You will shoot till noon when you will be treated to an incredible barbeque lunch at the lodge, tasting some of Argentina’s wonderful beef and superb wines. Afternoon begins at around 2 or 2:30 hr., and continues until almost dark. There is no deﬁnite time to close the shoot. Return to the lodge for cocktails and early dinner.